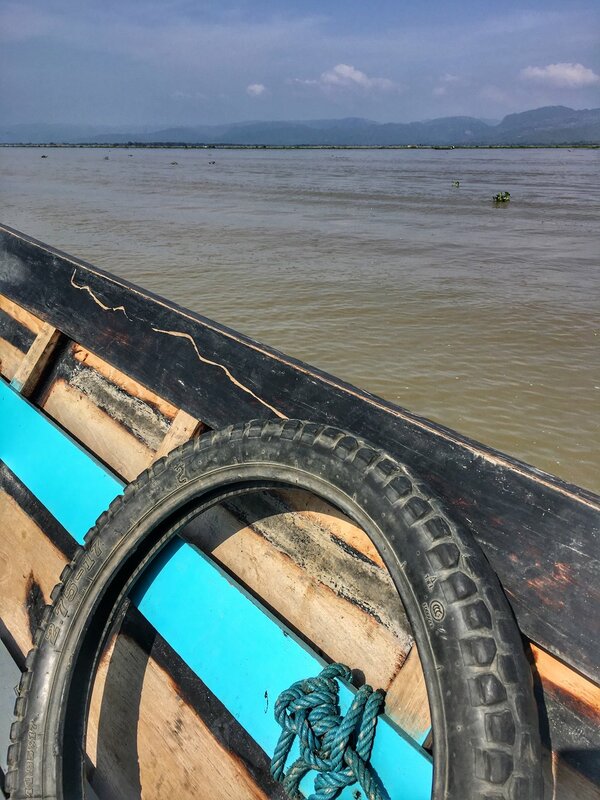 My first impression of Inle Lake was, well, dirty. Because the water is brown. The town itself is small, with dirt roads and a few makeshift restaurants. Locals either speed by on motorbike or blunder past on tractors. Boat captains wait outside hotels, ready to approach any tourists who might possibly be in need of a boat. The lake is actually difficult to access without a boat because the town doesn't sit right on the lake. It sits on a canal, so my vision of sipping coffee with a stunning view of Inle Lake didn't quite come true. Therefore, in what is probably very obvious, the best way to explore Inle Lake is by boat. The hostel I was staying at, Ostello Bello, organized group boat tours every morning. 15 of us had signed up, so we each climbed into a longtail boat. There were five of us in our group, and I couldn't help but smile when I saw the boat pull up to the pier. The seats in the boat were actual chairs - like porch chairs - and they each had seat cushions. Chairs could be added depending on the number of people in the boat. The lifesaver was an old tire and there were no lifejackets in sight (they're unnecessary, anyways). Our captain gunned the motor and we started off. Many longboats were carrying huge, woven bags of tomatoes into the town to be sold at the daily market. Wooden docks stood on the banks of the canal, with locals carrying bags of produce, gasoline, and goods off of boats. After ten minutes, the canal opened up into Inle Lake itself. The lake is bordered by mountains in the distance on either side, with tall grasses, seaweed, and tomato plants smothering the lake's surface. The water remained a murky brown, and I decided that the lake was just really muddy instead of really dirty (although it was probably a mixture of both). Whatever color the lake was, what became immediately clear was that this lake is a way of life for the locals. 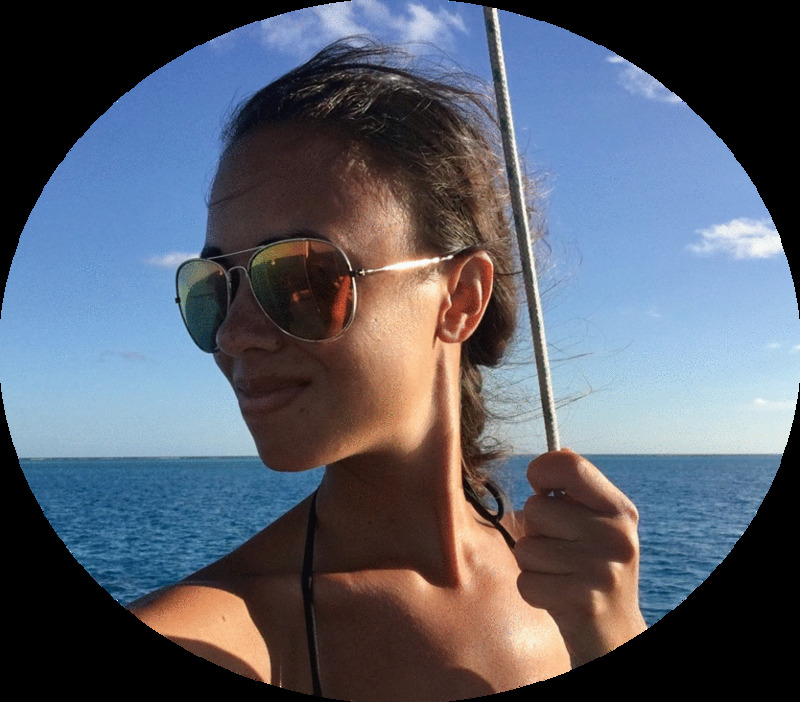 As we passed by in our longboat, the local life continued on, completely indifferent to us. The infamous Inle Lake fishermen balanced at the front of their boats with elegance: one foot on the hull, one foot holding the oar to steer, and both hands on the fishing net. These guys have figured out efficiency when it comes to fishing. Other men dug their boat oars deep into the water to pull out heaps of seaweed, covering their boats with the plant. "For fertilizer," our boat captain explained. As we squeezed through another canal, more signs of life sprang to life in the river. A father washed his son on the riverbank, covering him in soap suds. The boy grinned cheekily as our boat passed by. A young girl, maybe four years old, stood naked in the water. She waved excitedly at us, completely oblivious to her nakedness. Boys roughhoused with each other in the lake; girls washed their long hair off of wooden platforms that hovered over the water. They soaked their hair in the river water and patiently worked out the knots with their fingers. Massive water buffalo hauled carts through the grass on the banks of the river. The countryside itself was stunning - the grass was lush and green thanks to the beginning rains of wet season, and the sun beat down relentlessly. Later in the day, we saw many water buffalo cooling off in the water, their owners never far behind. All around me, I saw examples of how this lake was providing life and sustenance to the community that had built itself on it. Not only in fish and irrigation and produce, but also in tourism. Inle Lake is one of the four main stops in Myanmar. The government collects a 12,000K / $10USD fee for every person who enters the province. There are plenty of souvenir workshops that have sprouted up on the lake, restaurants built on stilts over the water that specialize in local Myanmar dishes, and a typical boat fee for a day costs 25,000K (which is ridiculously cheap when split amongst 5 people). Along the way, we stopped at several souvenir and handicraft workshops. The first shop featured silver that is pounded into homemade jewelry. I couldn't help myself, so I bought a bracelet with delicate, silver elephants for $7USD. The next stop featured an umbrella workshop, and by the time we stopped at a weaving workshop, I felt like we were just being herded from shop to shop with the expectation that we had to purchase something. Regardless, the workshops were fascinating and certainly a good look at how things are made here in Myanmar, without machines and factories. As we wandered through various shops, I would spy our boat captains sitting around a square table on the floor. I had seen a smaller variation of the game in the streets of Yangon. The game seems like a version of pool, but you use your fingers instead of a pool stick to land the tokens into pockets. I watched for several minutes, smiling whenever the young men tried to get the other to mess up by grabbing an elbow or making a funny face. They shared the local name of the game with us, but the name escapes me. As we got up to leave, another backpacker asked a boat captain to show him how to tie his new longyi that he had picked up at the shop. Many Burmese men wear a type of sarong (they're not skirts!) that is tied at the center of the waist. The sarong is actually a loop of fabric that you step through, then tighten around the waist in a knot. I watched as the boat captain patiently showed the young German man how to properly tie the garment, a small smile on his face. 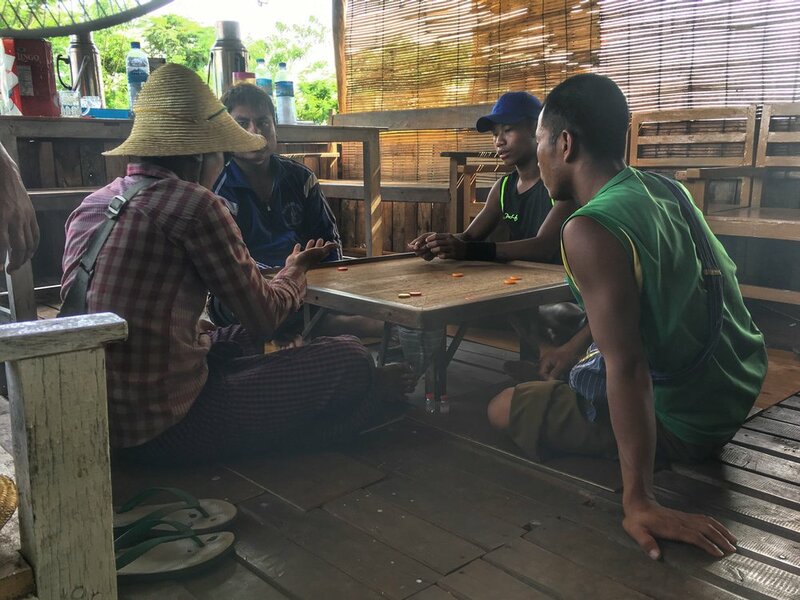 In my time in Myanmar, I have noticed backpackers have a profound sense of respect for Burmese traditions and culture - you want to help preserve a culture that hasn't seemed to age with the modern times. The young man tightened his new longyi and thanked the boat captain. We climbed back into the boat to continue on our journey. Our next stop was Indein Village, which features a cluster of debilitated pagodas from the 16th and 17th centuries. The pagodas seemed to be straight out of an Indiana Jones movie, and we weaved between them before we made our way to the main temple. The pagodas made for the perfect photo opportunity and we couldn't help but set the camera up for a few shots. With the pagodas fading into the distance as we headed back into town, I knew that my favorite part of the day had been watching the locals go about their daily routines on the lake. Every time we passed by a boat with locals in it, they eagerly waved at us, happy to share a piece of their lake with us. I was grateful they were willing to share. Where to stay: Ostello Bello Hostel is $10USD/night and includes a full breakfast, free coffee and juice, a rooftop terrace, and organized boat tours. If you go: Evergreen Restaurant (turn left on the street outside of the hostel) has amazing Indian food! I got rice, butter chicken, garlic naan, and dessert for less than $5USD. The owner is very kind, too. If I'm being honest: Try to do a 2 day, 1 night trek from Kalaw to Inle. I didn't have time to do the trek, but I heard it was amazing and well worth it because of the scenery and interactions with locals.